President John Dramani Mahama has told the pastors selected for the government-facilitated pilgrimage to Israel that government is ready to abandon the trip if the pastors decline the offer. Speaking on the issue for the first time, President Mahama said “unfortunately the whole intent has been misunderstood and it has created some negatives. The circumstances under which various church groups are writing and saying we don’t want to participate; we will take what you want if we should abandon it, we will just tell the private sponsors that unfortunately, the church groups are not interested. “So that they deal directly with you, government will play no part in facilitating it or something. So I want to get your own idea about it,” he asked the reporter? Government has been criticized after news of the trip became public about two weeks ago. But speaking to leaders of the Christian community who called on him at the Flagstaff House, President Mahama said government is only facilitating the trip but not sponsoring it. As if that makes it sound better? Was he the OTHER IDIOT. This is how an educated Ghanaian, now president, defends himself and his government? Even before we ask who these Sponsors were, what business does Mahama et al have on earth in being facilitators? You would think that a government with the kind of immeasurable problems that Ghana has would worry about solving Ghana’s energy crisis, feed the poor and pay teachers better? And why would government encourage Sponsors to spend more than half a million dollars in sending prayer warriors to Israel when more than half of the country is hungry, dying and sick? 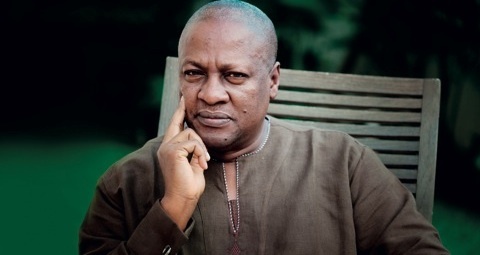 Is President Mahama the OTHER IDIOT? Absolute Power Corrupts Even Gods. What Is Ma’at? The answer, “government is playing only a facilitator role” to me is quite interesting. Hmm. Now Ghana government becomes a referee.